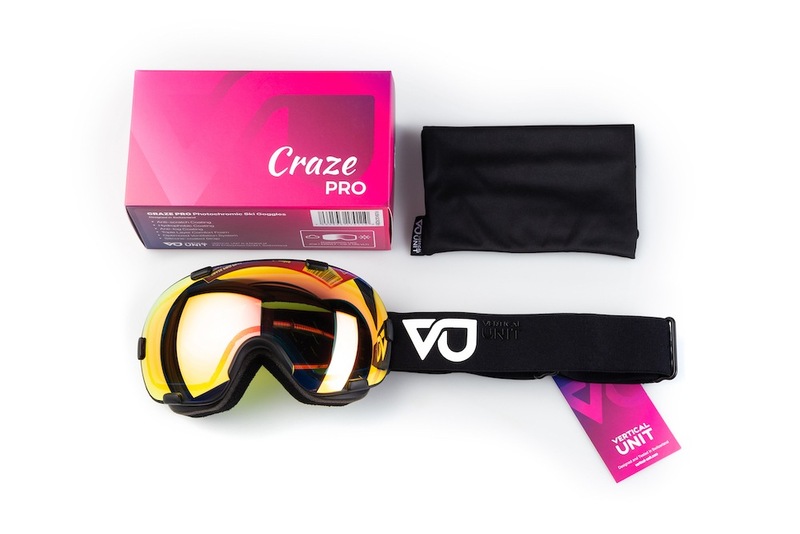 The Craze pro – Our Professional model that incorporates our specially designed photochromic lens that automatically adjusts the level of lens light transmission based on the weather conditions. 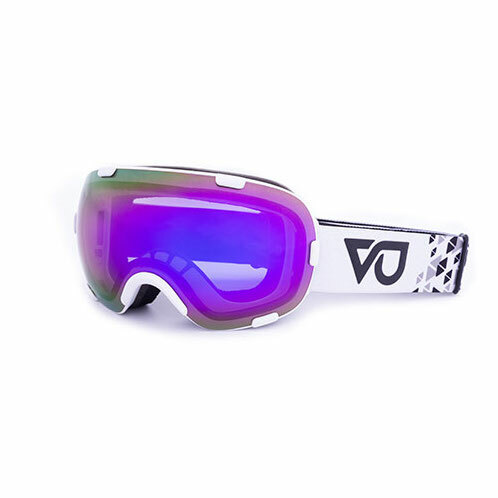 This goggle sports a high highly flexible ventilated frame and utilizes dual lens technology including anti fog and anti scratch coatings and incorporates an air pocket between the outer & inner lens to prevent condensation and fogging. Super soft 3 layer face foam for perfect fit and anti slip helmet strap. 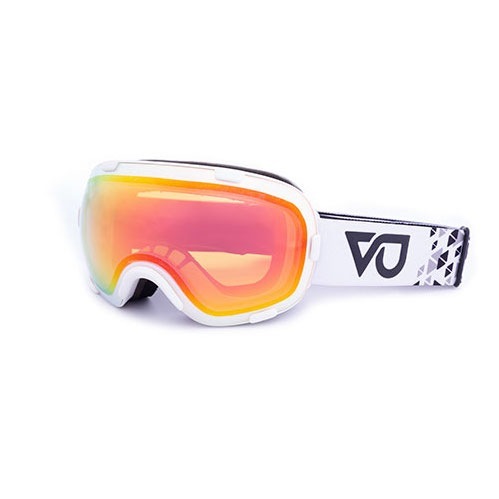 Photochromic spherical Lens with orange to grey variable base tint and complete Revo red coating. Strap with rubberized VU logo.